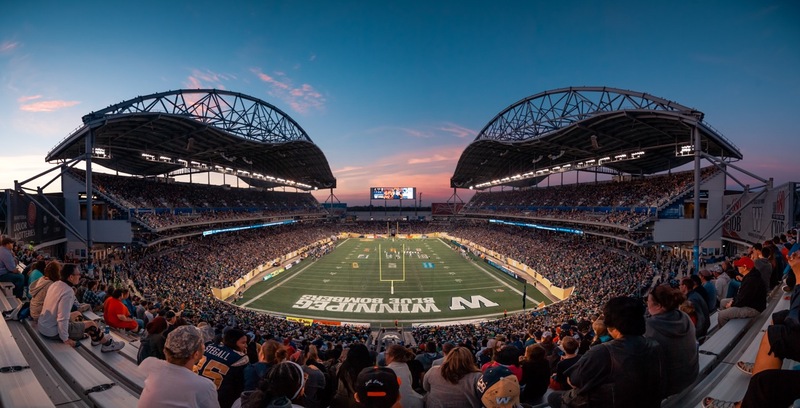 Investors Group Field tours will take place every Tuesday afternoon at 2:00 p.m. from May 22nd until September 25th. Each tour will last approximately 45 minutes and can accommodate up to 50 guests. Groups must be a minimum of 10 guests and we recommend that all guests be seven years of age or older. Specific tour stops are subject to change based on events and weather. Please note the Blue Bomber locker room will not be accessible during the tours. Due to the high volume of requests we receive, booking is subject to availability and the dates and times listed on the application form are the only available time slots for tours. Your request is not confirmed until a tour representative has contacted you with a confirmation email. To request a tour for your group, please submit this application form.